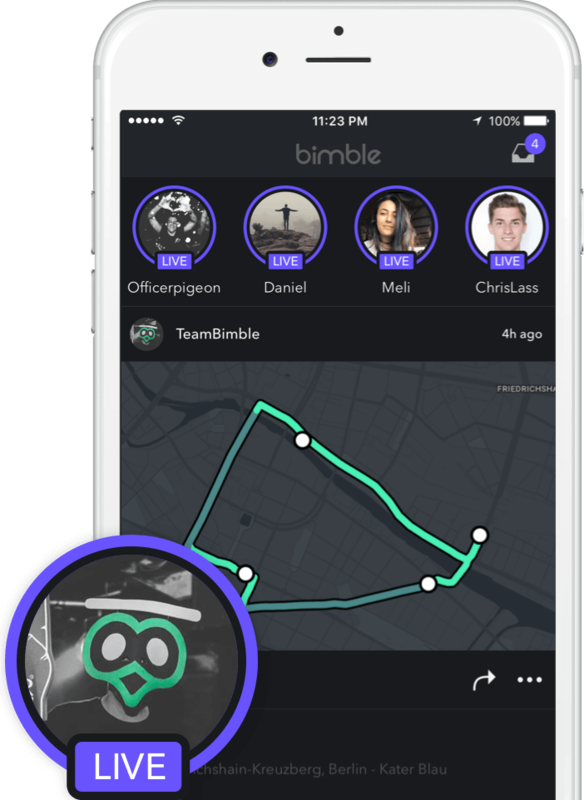 Start tracking and let Bimble take care of the rest. 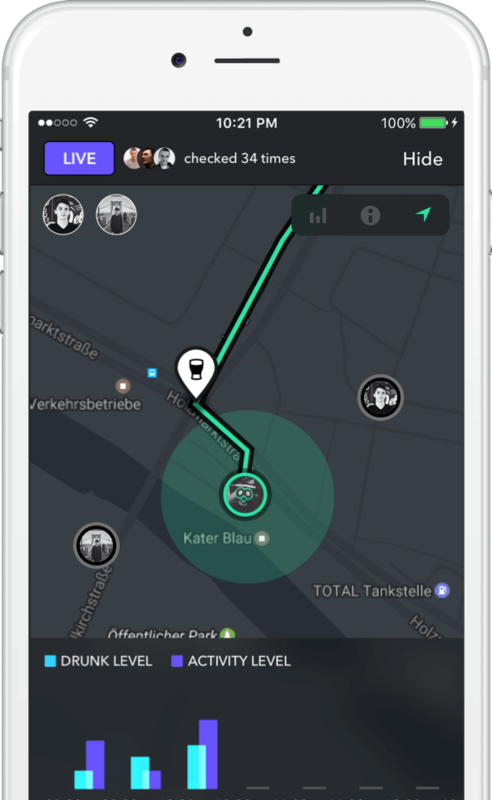 Bimble automatically detects where you go, which places you visit, and even how drunk you are. 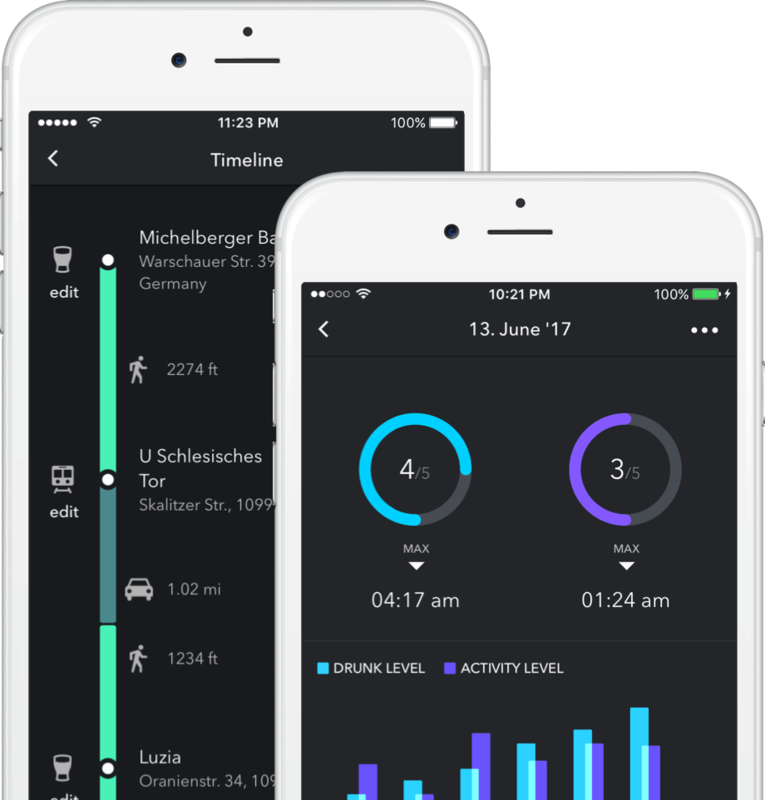 On the next day you receive a report with detailed information about your night out including a timeline of your journey, your drunkenness over time, and much more. Go LIVE and let your friends know what you’re up to. They can see the places you’ve visited, where you are, and how drunk you are. Copyrights © 2019 Bimble Motion LTD. All Rights Reserved.